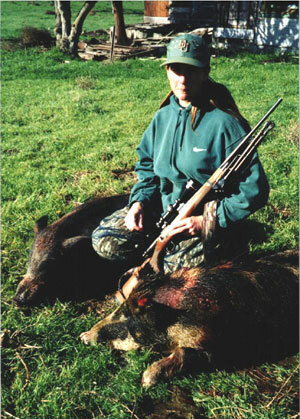 These hogs were taken on March 10, 2001, by Sheryl Morris of Lockford, California and Mel Tucker of Manteca, California. The hogs weighed 200 pounds each. Both hunters were guided by T-Bone Guide Service of Hollister, California.